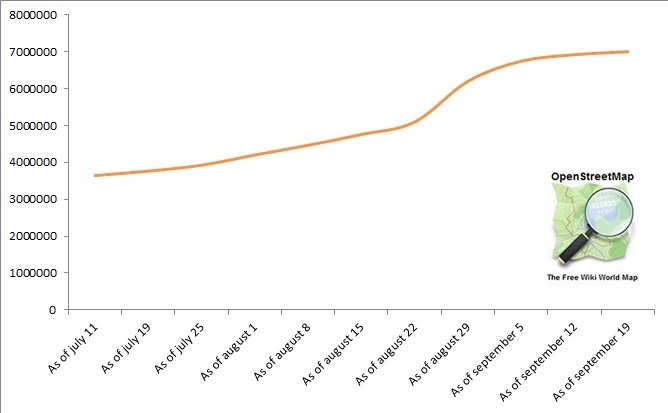 #MapLesotho has rocketed forwards in the last ten weeks. Thanks to the @Mapillary challenge the number of nodes in the map has double in that time from 3.6 million to 7 million. Now there are regularly between 6-12 mappers engaging in mapping the mountain kingdom every day. Lesotho, if not the most mapped, is one of the most mapped African countries. Now it is timely to look ahead at how the big push will be made to finish the basemap and move on to later phases. 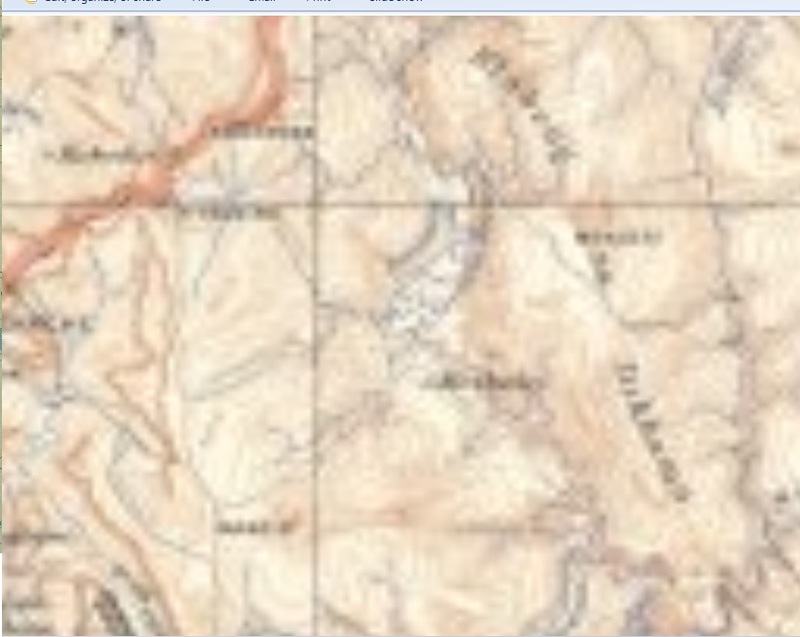 In February 2015 Dave Corley conducted a consultation with the Lesotho OSM stakeholders that sketched out the general principles of layering in different data sources, tracing their features and creating stronger and stronger aggregations of locally mapped features until openstreetmap for Lesotho fills up, to perhaps be the most completely mapped country in the world. From the present time #hotosm task 1169 will need to be completed. 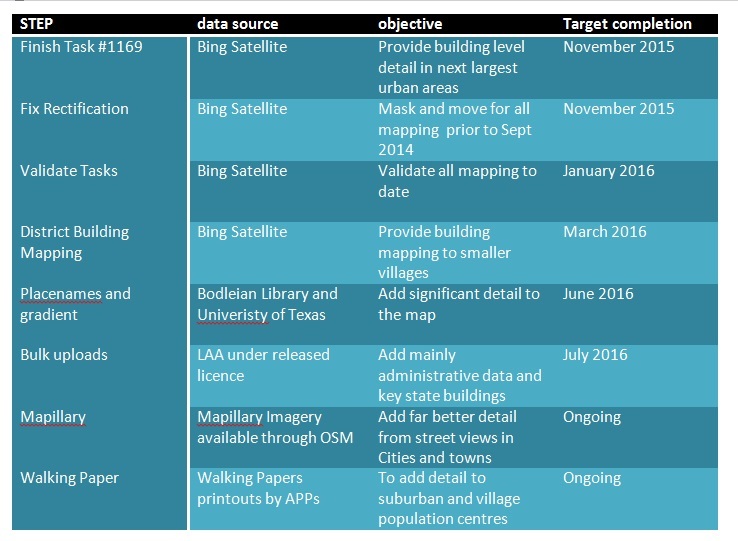 When this is done all mappers will be asked to validate all the completed tiles within the large Rural 1, Urban 1, Rural 2 and Urban 2 tasks. 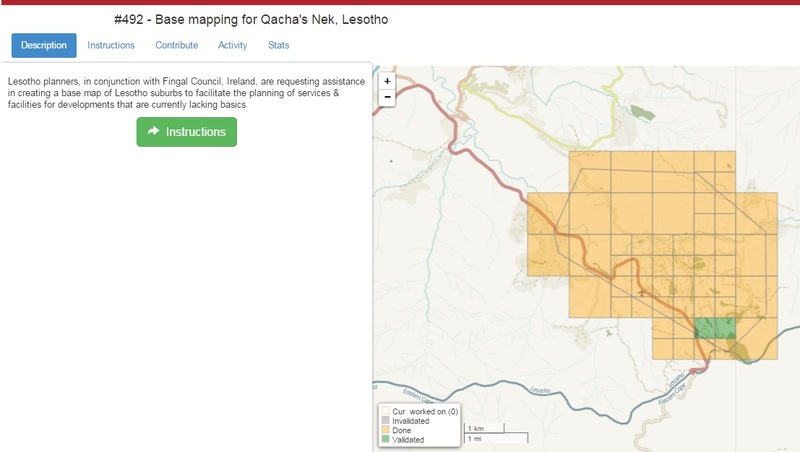 Simultaneous to this stage older urban tasks completed for Mafeteng, Teyataneng and Qachas’ Nek from 2014 need a lot of the mapping re-rectified which will be completed centrally. The next objective is to secure building level mapping for the rural areas, since the districts now have teams of OSM users and the complexity of this work the task will be set up on a district basis. Districts in the west will have an advantage as they were partly mapped for all their buildings in the other urban tasks. Of course districts are all different sizes too, so the speed of this task will vary greatly from place to place and a coterie of mappers from the #hotosm crowdsource will be needed if some are going very slowly. At this stage it could be said that the base-map is both complete and validated. While the features are still quite basic in this base-map there is an intention to run basic error detection tools, like OSM Inspector devised by Geofabrick. This will detect indications of mistakes made by mappers that were not ironed out by validation. For examples streams flowing in the wrong direction, or abrupt ends to highways, buildings that are conjoined at a corner, and so on. The very next step is to make the base map as useable as possible to wider numbers of people. Using out-of-copyright raster maps from the Bodleian Library and the University of Texas as many additional details as can be gleaned, like heights and village/settlement place-names. These will also be done on a district basis. Each area marked out as a residential in the previous task will be scanned for an established place name. The next task will be bulk uploading, pending their release free of copyright, the Land Administration Authority (LAA) boundary files for District and Community Council organisation. 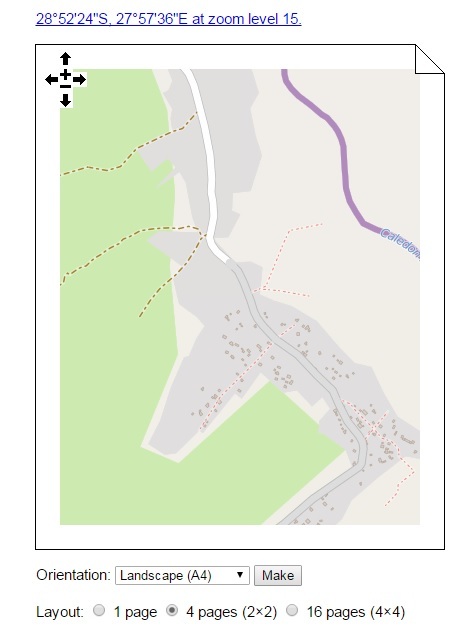 The LAA will be asked to release additional data too, some of this may already be mapped, however, and this will require mappers to reconcile what may be points as orthodox drawn features in openstreetmap. For example footbridges exist in their data as a point (pin), whereas in OSM it is customary to present them as a section on a footpath. The phase which follows is aimed at using (perhaps in parallel) OSM methodologies like Mapillary and/or Walking Papers surveys to add as much as possible about building uses, schools, shops, medical centres, police stations, street lights, footpaths and so forth can all be drawn on the map at this stage. At this stage the real value to apps developers emerges as they use the tags that are created on each building. 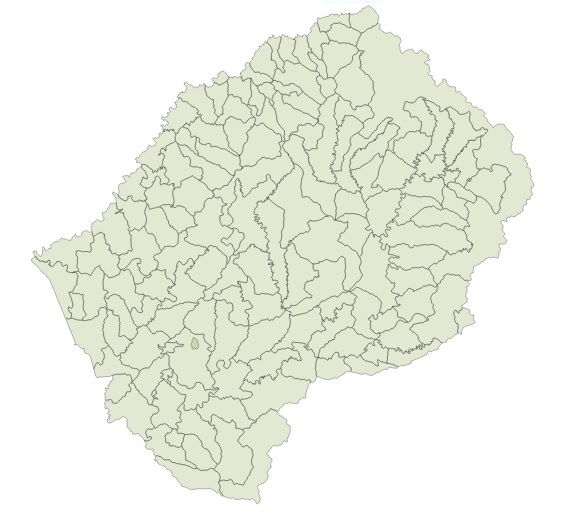 Of course the Map of Lesotho, just like the map of any country, will never be entirely correct. It will require a community of custodians who regularly check, improve, nuance and edit openstreetmap and keep track of items like new buildings and demolished buildings. Having said that the map will be in a highly useable state at this point. At this point tools which allow “maintenance editing” to take place will be explored. One excellent example of just such a tool is the one developed by Jóhannes Jenson. This tool allows a view of settlements, and allows them to be rated and ultimately flagged up and edited. Of course there is no reserve on good ideas. The #MapLesotho community is very interested in hearing from anyone who has a suggestion. These ideas can be posted on twitter using the hashtag #MapLesotho, or to the OSM Lesotho facebook page.